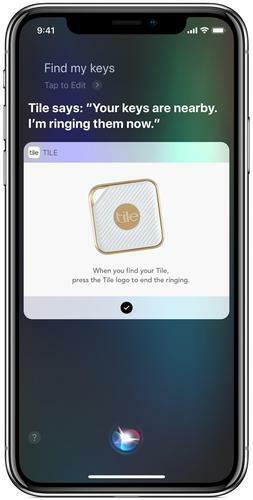 Tile users can now ask Siri to ring their Tiled items. To set up, iPhone users must open the Tile app and tap on the Tile they would like to add a shortcut for. Once a Tile is selected, users will tap on ‘Siri’ from the options screen. Users will then be prompted to record a command, such as “Find my keys.” After recording, users can issue that command to Siri. HomePod users can also access this shortcut, making it easier than ever to locate items at home. The Tile Siri Shortcut can also be set up through Siri & Search in Settings. Users can set up an unlimited number of Tile commands for Siri Shortcuts and commands can be changed or deleted at any time. If the Tiled item is out of Bluetooth range or disconnected, Siri will show the last place it was seen on a map. For more information, visit TheTileApp.com.